With the reunion less than three weeks away, here's some important information if you're planning to eat dinner. The room we've reserved at our new venue (Seasons52 Restaurant) is very limited in size, so we can only accommodate a certain number of people eating dinner at one time. We've therefore scheduled two dinner times: 6:30 p.m. and 8 p.m. Separate checks will be provided by the servers. You're also welcome to order hors d'oeuvres and drinks at any time throughout the evening--there will be a server dedicated to handling that. There's also a large bar located right next to our room, so you can hang out there at some point during the evening if you wish. If I don't hear back from you, I'll assume you don't need dinner seating in our room. Thanks, and see you on the 26th! 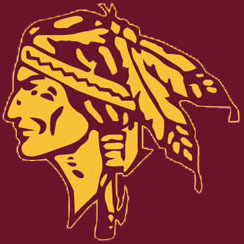 As you probably heard, we were forced to cancel our plans to hold the 40-Year Reunion for the Encina Class of 1974 at the DoubleTree on April 26. We had a hefty minimum guarantee at the DoubleTree, and without at least 100 tickets sold (which was not going to happen), we couldn't afford it. It's a classy place but the prices are reasonable, and there's a full bar a few feet from the room. The set-up will allow for some people to eat dinner and others to have drinks and sit in small groups. They'll provide us with dedicated servers who will issue individual checks. While we aren't selling tickets, we do still have to meet a minimum guarantee in terms of food and drink, so we're expecting those who attend to either eat dinner, buy appetizers, or at least have a couple of drinks. To get a smaller minimum guarantee, we had to sacrifice space...so the event will be limited to the first 50 people who RSVP. First come, first serve until we're full up. Please let us know if you are planning to attend, if you will be bringing a guest, and if you expect to eat dinner (the latter will help us decide how to best configure the room). If we don't hear back from you, the assumption will be that you're not coming. Due to the space limitations, walk-ups who haven't RSVP'd will not be admitted. Thanks, and hope to see you on April 26! Our 40-Year Reunion Website is now up and running at www.encina1974reunion.com! It includes an easy PayPal link for buying tickets (you can also mail a check), along with links on the reunion location, the dinner menu, who has already RSVP'd, classmates we're looking for, and much more. If you're planning to attend, please buy your tickets ASAP--this will help us with the planning process as we need to get a count on the number of attendees as soon as possible. Also, please contact any of your old high school friends who haven't RSVP'd yet and urge them to attend...we want to make this our biggest and best reunion ever! And finally, if you see someone on the "missing" list and have their contact information, we'd appreciate it if you could forward that to us. See you in about four months! Julie Eissinger Hillis, Bob Goosmann, Terrea Harlan Sherman, Terri Jurich Howard, Gregg Magaziner, Steve Palmer, Stacey Heidig Nittler and Denni Schwartz Mador. 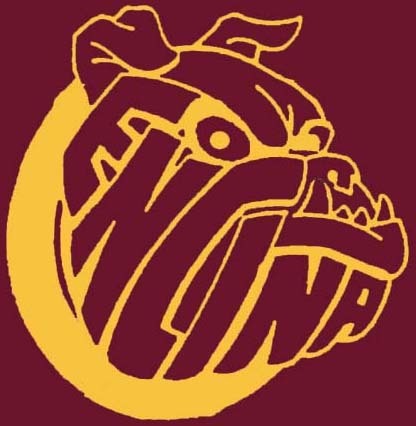 In addition, the annual Encina Alumni Challenge event will be held the night before at the school, featuring a FREE barbecue dinner and the exciting basketball game between an Alumni team and the Varsity squad. A large contingent of 1974 alumni typically attend the dinner and game, and there will be a Class of '74 graduate playing for the Alumni. Mark your calendar now and watch for more details coming soon via e-mail, on the Encina Alumni website, and on the soon to be active Encina 1974 Reunion Facebook page. Looking forward to seeing you all next April! Great food, drink, music, fun and friends! The 1974 Class Directory lists contact information for your classmates. Please submit your contact information.